It’s a mess to have to many things and cars spread out at different locations. But i am trying to have one day per week in one workshop and one in the other. I only need to do a proper planning so i know what to do when coming there. 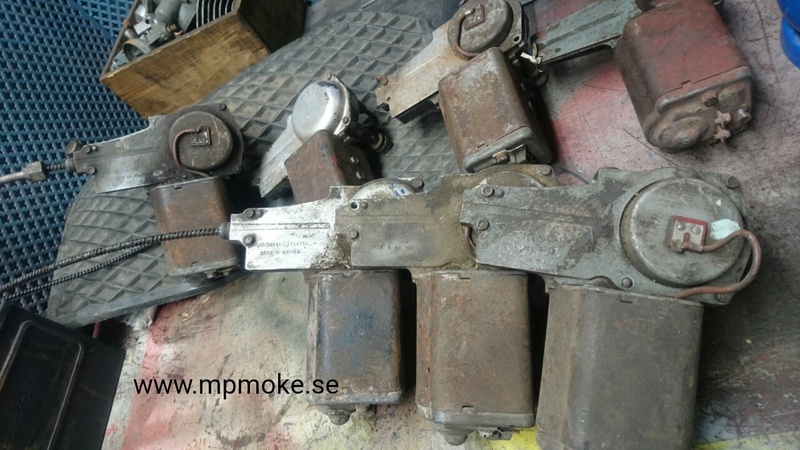 Last night I went to the Kroksta workshop and sorted out wiper motor and heater for a project that eventually will be on the streets this coming summer. I choosed a wiper motor stamped 6 -63, that gives a hint of what the project is…. This entry was posted in Cooper S -59, Technical on March 1, 2017 by admin.